Many people in many countries would understand the value of taking a summer holiday, but in Australia the summer getaway is an entrenched part of life. For many of us, the beach is the perfect place to escape. From December to February or later, the mass trek to the coast is on. Our treasured time with the beach can range from a quick dip, an afternoon cooling off with the kids or watching the sunset with friends, to the weekend break or longer stay at the family shack. 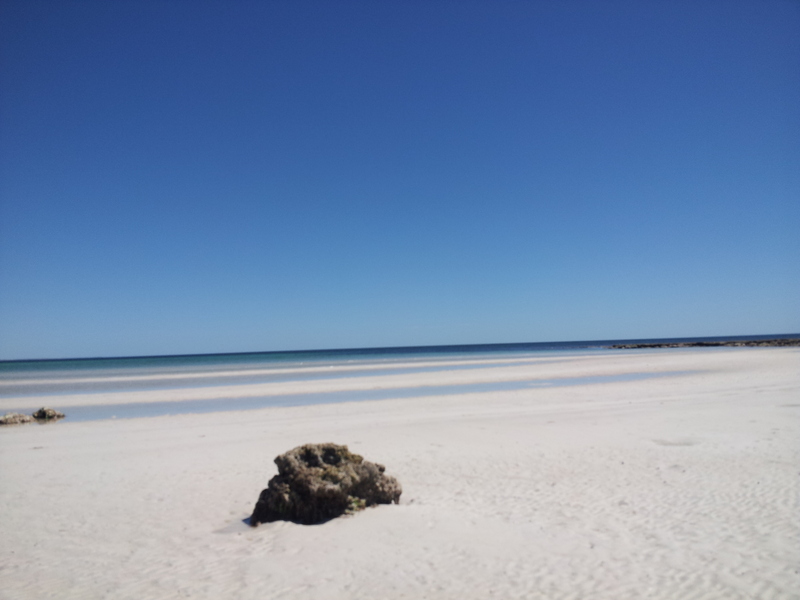 Living by one of the most beautiful and accessible beaches in South Australia, an easy drive from Adelaide, I have seen many summer invasions of townies. Its good for the local economy, so I don’t really mind sharing. Anyway, I generally make time for a weekend getaway myself, to other beaches; happily becoming a townie myself. My favorite time is late summer to early autumn, when its possible to find an almost uninhabited beach somewhere in driving distance. So, this week’s ‘room with a view’ was a different aspect of the Southern Ocean, from a comfortable beach house with a spectacular view of Spencer Gulf. Leaving behind my beautiful local beach on the Fleurieu Peninsula, I drove nearly 300 kms to an equally beautiful beach on Yorke Peninsula; and quickly settled in for some serious unwinding. Being outside of peak tourist season, I didn’t have to share the beach with many people, but sharing is often a necessary part of holidaying. As usual, it was an enjoyable sharing this time: sharing space, meals and conversations with the friends who ventured out with me. As well as sharing relaxed walks on the beach and watching sunsets from the shack’s veranda. As I was the only one up for a swim, I didn’t share the water though. Well, I did really, just not with humans. I spotted at least one decent sized sting-ray floating by as I was swimming, and it took me a while to stop imagining that others were sneaking up on me. Once I had mastered my fear-driven imagination, I then floated and let my creative imagination wander; towards my writing, of course. Being out in nature always inspires me. Now that I am back home, back to the Monday to Friday reality of work, I have resolved to let the memory of my beach escape linger. And hopefully the weekend unwind will help me to once again feel the insatiable urge to get back into some serious writing; to finally finish editing my current works in progress, ready for publishing. From my home, I can still hear the ocean as I write; my part of the Southern Ocean, in the Gulf of St Vincent. Its good to getaway but its equally good to return home. Do you have a favourite spot for your summer break? Beach, hills or other? Please feel free to comment….share your special place for unwinding. Put on your favourite roadtrip CDs, Andy, and that 4 hours drive to the beach will go by quickly.